On our trip to Interlaken in Switzerland we stopped a bit on the railway station to have a drink. 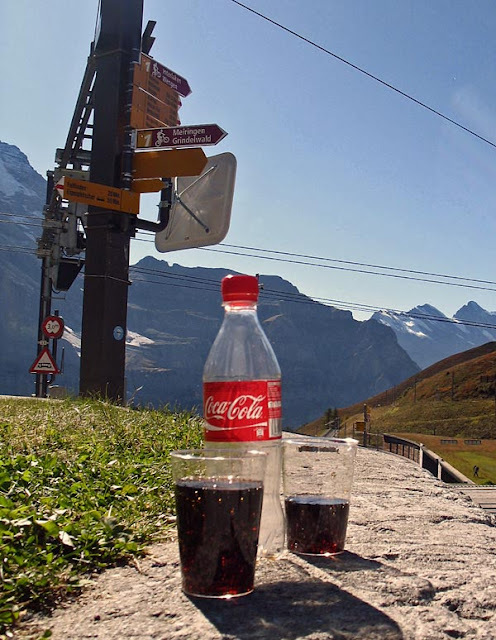 But when we saw the view the coca-cola was forgotten. First time I had coke in the swiss alps and I think the last time too!